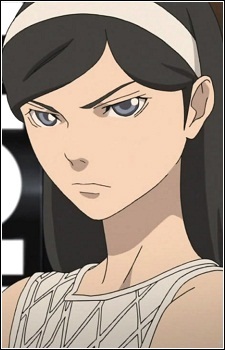 The headmaster of Waldstein Academy's daughter, Maya Kumashiro claims to hate the myths that her father loves. Maya Kumashiro comes to Waldstein Academy after her father, the headmaster, died. At his funeral, in the recorded message to the students, he summons an ancient ghost by mistake, which Maya beats with her suitcase and kicks it into the coffin again. She then makes an announcement that it was staged and expresses hatred for myths. Despite this, later on in the episode, she recognizes that the being is a Lamie and knows what it is and how to stop it. She says that even knowing about myths, she still hates them due to the fact her father, who was previously very loving and caring, became obsessed with them and caused him to ignore her and become rough. Sifting through the dark, forgotten recesses of My Anime List like some sort of anime hipster, our writers have brought you 15 of what they consider to be the most underrated anime out there. Under appreciated masterpiece or stinker that got the reception it deserved; you decide.